The Drager Polytron 7500 is a transmitter for the continuous monitoring of NF3 and PFCs (perfluoro compounds) e.g. C4F6, C5F8 in ambient air. It is the advanced version of the new modular Polytron Pyrolyzer family from Drager Safety. A two-component concept comprising a docking station and a main unit saves time and money. The docking station and the relay module can be electrically pre-wired. 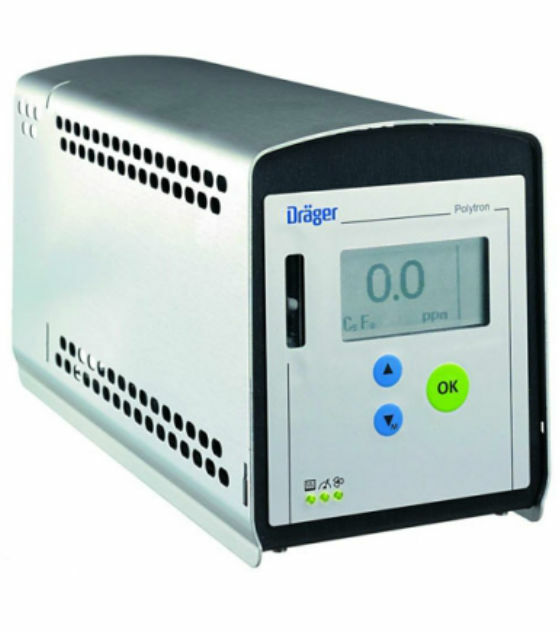 At commissioning the Drager Polytron 7500 main unit is connected by a quicklock mechanism to the docking station. After warm up the system is ready for operation. The design supports the demand for a small footprint where space is limited. The use of durable and sturdy components for pumps and pyrolysis oven enables long reliable operation. 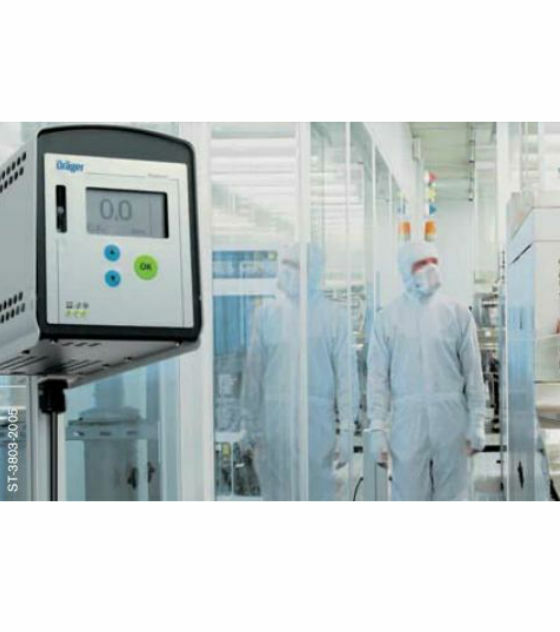 Selective electrochemical DragerSensors provide a stable and longlasting measurement of dedicated target substances with a fast response time. A unique branched internal flow system allows for a wide flow range from 0.5 to 1.5 l/min without interfering with the measurement performance. A large graphical display uses icons and plain text to show the status of the instrument, and guides the user through calibration and configuration. The software menu was designed in partnership with our customers, making it simple and easy to use. Only three keys are necessary to walk through the different functions. A password prevents unauthorized access. A number of software dongles with different software functionality will customize the transmitter to specific application needs. Sensor test dongle - With this dongle, the Drager Polytron 7500 performs many patented sensor tests to ensure reliability and functionality of the sensor and the gas detection system. Sensor diagnostic dongle - All sensors have a certain life time which can be affected by factors such as gas exposure, temperature exposure and the age of the sensor. Now, with the new sensor diagnostic function in the dongle (including sensor test), the stress and remaining life of the sensor is evaluated, and it is possible to predict and plan for a maintenance and replacement cycle. Data dongle - Datalogger and eventlogger options are implemented in this dongle, which stores gas values and events such as faults and alarms. Using an IR link with the PDA m515-Ex, the data can be downloaded and evaluated on a PC with the GasVision software. By pushing one button, a graphical 15 minute history of the gas concentration will be displayed on the transmitter screen, for quick evaluation of the current and past situation.